Airship Ventures: Grand Theft Airship? 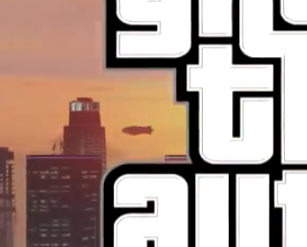 The new video trailer for Grand Theft Auto V by Rockstar Games features appearances by an airship. You can spot it in the background over the city several times. A few of those times, it looks like it could be the Goodyear Blimp. A few other times, it looks long and slender, like it could be Eureka. As both airships sail the skies of LA, could be either! But we have our favorite. Check out the video and see which airship YOU think it is! Scan for it at the following points -- 00:17 over the golf course, 1:04, 1:09, and 1:11 above the city.